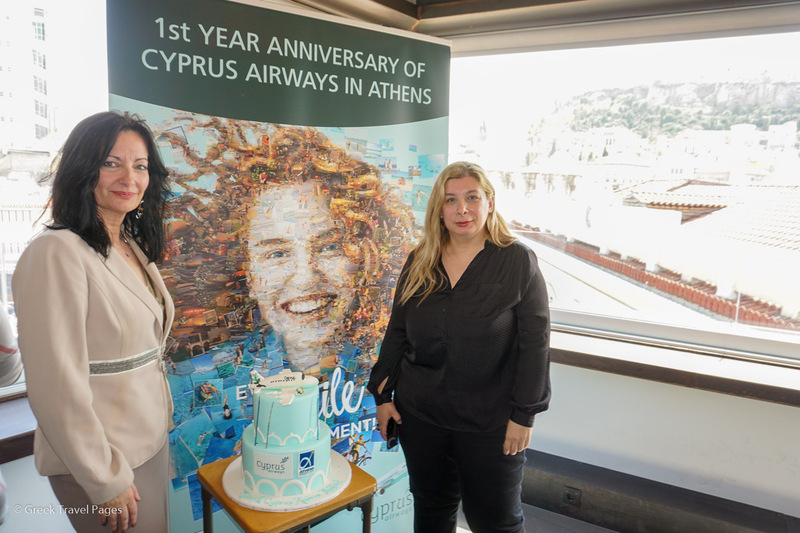 AIA Communications & Marketing Director Ioanna Papadopoulou and Cyprus Airways PR and Marketing Manager Kiki Haida. 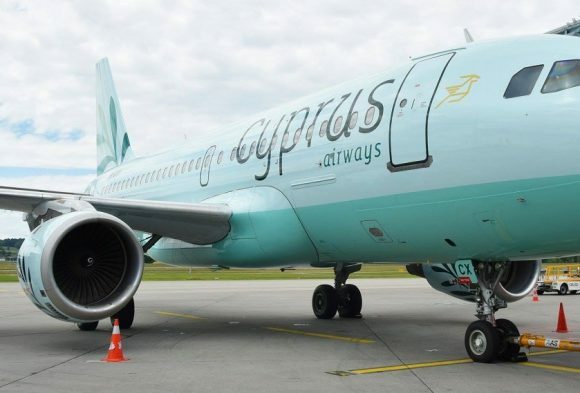 Cyprus Airways flew over 77,000 passengers between Athens and Larnaca in the route’s first year of operation, according to the airline’s PR and marketing manager, Kiki Haida. “Our aim is to travel more passengers between the two cities,” Haida said on Tuesday during an event held in Athens to celebrate its one-year anniversary of flights to Athens International Airport (AIA) from Larnaca, Cyprus. 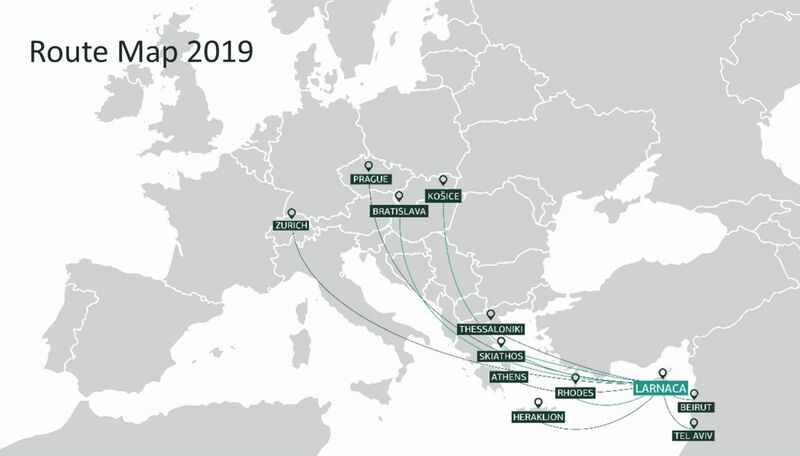 The airline launched the Athens-Larnaca route was last year on March 29, originally with two flights a week and then moved up to four flights a week in the summer. In November, the airline began operating the route with daily flights for its 2018-2019 winter schedule in efforts to meet increased demand. The airline Athens summer 2019 schedule continues serving the two cities with one flight per day, seven days a week. “We are proud that in one year we managed to expand the Athens-Larnaca route with daily flights,” Haida said. 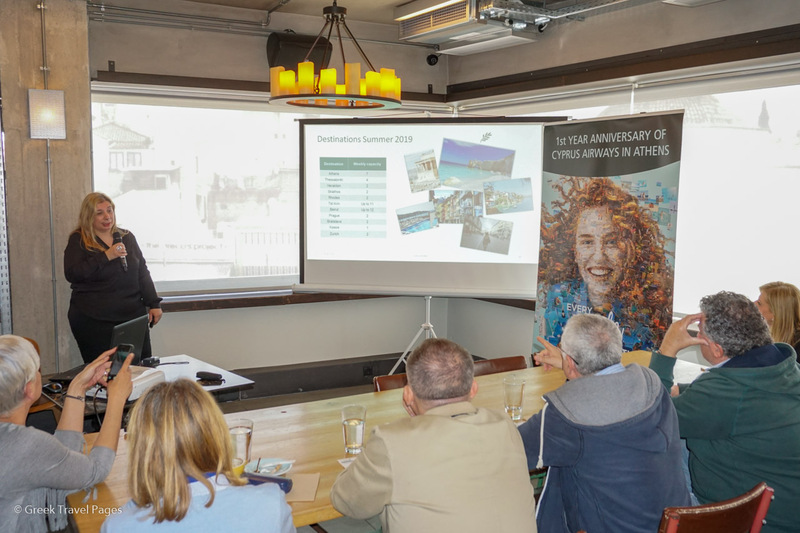 She also announced that this summer the airline will connect Larnaca to Thessaloniki four times a week and to Heraklion (Crete), Skiathos and Rhodes two times a week. Haida added that Cyprus Airways has a solid strategy in place and plans to increase its fleet from two to four Airbus A319 Y144 in Spring 2020. 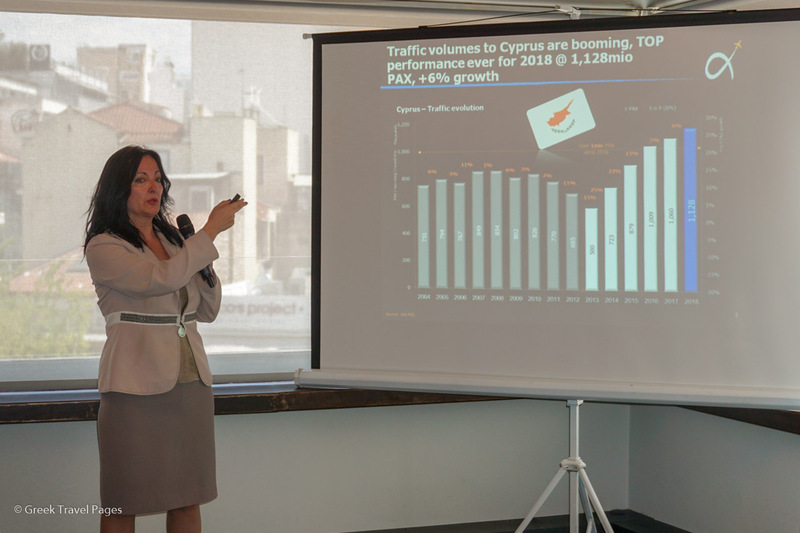 On her part, AIA Communications & Marketing Director Ioanna Papadopoulou said that the airline’s development is of great importance, as the Cypriot market is the airport’s sixth largest international passenger market, after USA, UK, Germany, France and Italy. “Cyprus is a very strong and balanced market. It is among AIA’s top markets in foreign resident arrivals that saw a seven percent growth last year over 2017″, she said. Cyprus Airways currently has a codeshare agreement with Blue Air and an interline agreement with Qatar Airways. Based at Larnaka International Airport, Cyprus Airways is a relaunched carrier, following the closure of Cyprus’ national carrier in 2015. Cyprus Airways came back to life when Cyprus-listed company Charlie Airlines Ltd, of Russian interests, won a tender competition in July 2016 for the right to use the national carrier trademark for the next decade. Nikos is Greek-American born in New York, USA, and has lived in Greece for over 30 years. He is the managing editor of Greece's leading monthly travel and tourism guide, the Greek Travel Pages (GTP) since June 2008 and of news site GTP Headlines since its launch in September 2012. Nikos has also served as international press officer for the City of Athens and for the mayor. He has a degree in Mass Media and Communications, specializing in Journalism. Nikos is a native English speaker and speaks Greek fluently.